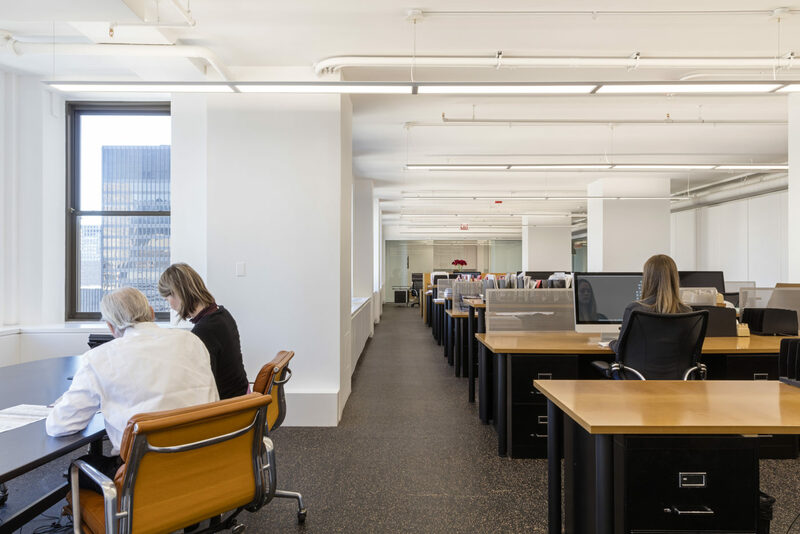 Located on the 35th floor of the landmarked Chicago Board of Trade Building, this new home for a graphic design firm takes advantage of the expansive views and natural light that floods the office. 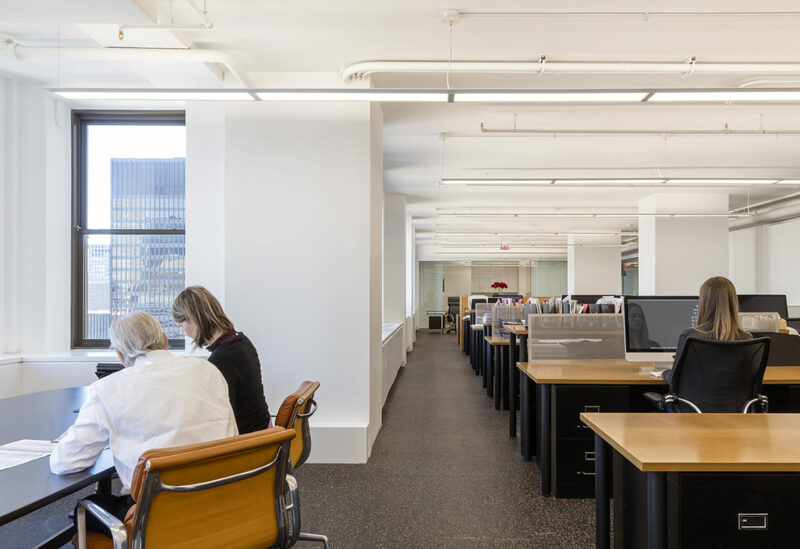 The open studio environment was designed to foster the collaborative culture of the firm. The palette is simple, clean, and bright, allowing graphic work and presentations to color the space.